Can you speak dog? 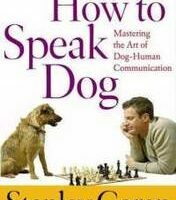 Dogs communicate with people in their very own way. Here are a few dog signs to watch for if you want to learn to speak dog. We're also sharing videos to understand dog communication and what different tail wags mean. Can your dog talk? One thing’s for sure… These dogs can speak enough of the English language to say one thing very clearly: ‘I love Mama’. These Dogs Can Really Speak!